Well, it's the last day of my week of milk-based dishes and I've learnt a whole new set of recipes that allow me to combine great nutrition and to use a good-value food item I always have to hand. The post-workout shake was the reader's favourite choice (in terms of page views!) - with the milk lollies a close second. I'm pretty keen on today's idea though - as cooking chicken in milk negates any need for basting with oil or other fat that might be more traditionally used. 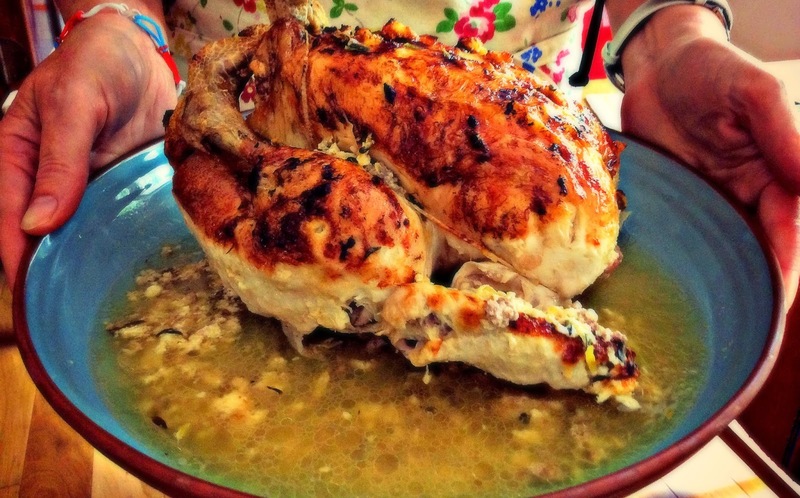 Place all of the ingredients into a deep roasting dish/bowl that is just big enough for the chicken to sit in. Pop the chicken in on top and place in the oven. Baste occasionally and cook until the juices run clear (about an hour/hour and half).